As we tell all our customers, ballooning is a very weather dependent activity. In the UK where the weather can be unpredictable our main flying season is March/April until the end of October as winter is much less suitable for ballooning, trust me you don’t want to get a basket, or the retrieve vehicles stuck in a muddy field! 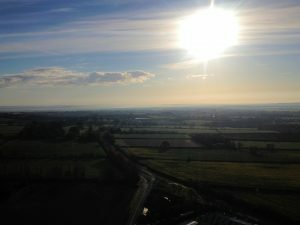 So, what is the best weather for hot air ballooning? There are lots of aspects our pilots have to look at to decide whether it is going to be safe to fly. They have some very complex charts and calculations to check and they have direct access to ballooning forecasters at the MET office to help them make the right decision, but for non-weather experts, we are generally looking for light winds, good visibility and no rain/thunderstorms in the area we are due to fly. At the beginning of the season, we also need to check how wet the fields are, if we’ve had a particularly bad winter with lots of rain, it can take a few weeks for the ground to dry out enough for our retrieve vehicles to access the launch and landing sites without getting stuck! Across the South West, the peak times for balloon flights is April until October, in the summer months high-pressure systems provide clearer skies, light winds and less rain than over the winter months. The most stable thermals and winds are during dusk and dawn, which provide our pilots with the ideal conditions to take off and stunning panoramic views for our customers. 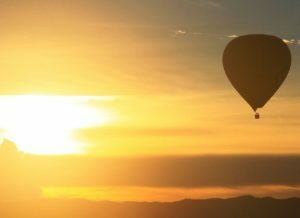 Remember that your hot air balloon flight takes place at altitudes of up to 3,000 feet, so although it may be calm on the ground the thermals and winds in the upper atmosphere may be too strong for a safe flight. At the beginning and end of the balloon flying season, spring and autumn, the cooler conditions can result in mist and fog which makes piloting a balloon difficult. So, throughout the year our experienced Pilots regularly check the weather forecasts to predict the conditions throughout your scheduled hot air balloon flight. They have access to very in depth and accurate reports and are very experienced in knowing what exactly to look for. The Pilots spend a lot of time checking the weather and making predictions, however, the UK is notoriously unpredictable and changeable so we leave the final decision as late as possible to ensure we don’t cancel a flight too early based on a forecast that could change. So, when is the best time of year to book your champagne hot air balloon ride? Although we can’t guarantee the weather on any specific day, we have scheduled flights from mid-March through October so come and join us. 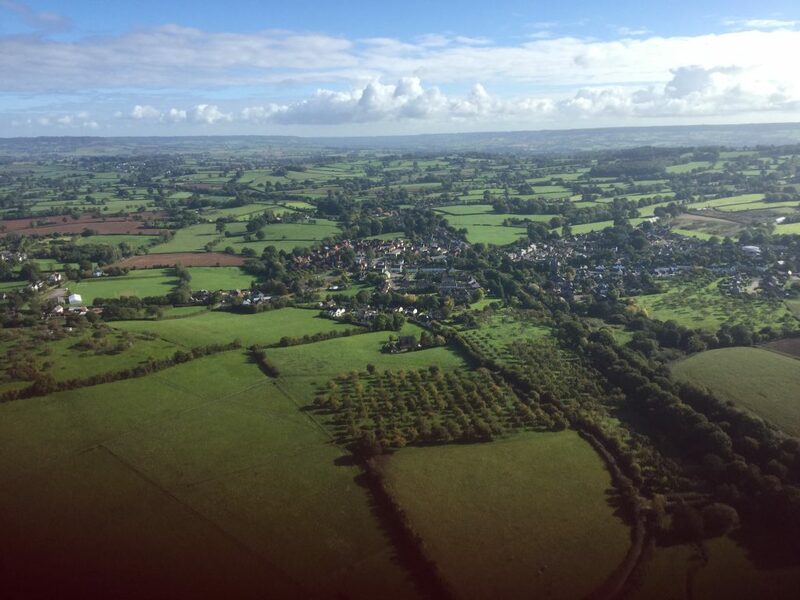 Don’t miss out on experiencing the beautiful countryside and heritage sights of the South West from above. Whether it is the dramatic scenery of the Dartmoor Peaks in Devon, sections of the Jurassic Coast in the distance in Dorset, views of Stonehenge or Salisbury Cathedral in Wiltshire, we will be flying across the crisp blue skies and above the green fields of the South West whenever the weather allows. And don’t worry, if you do get cancelled your voucher is valid for 12 months from the purchase date, so you can reschedule as many times as needed within the season until you fly. Whenever you choose to fly during our flying season, you can always be guaranteed that your safety is our pilot’s first priority and when you do fly, it will be an experience never to be forgotten!